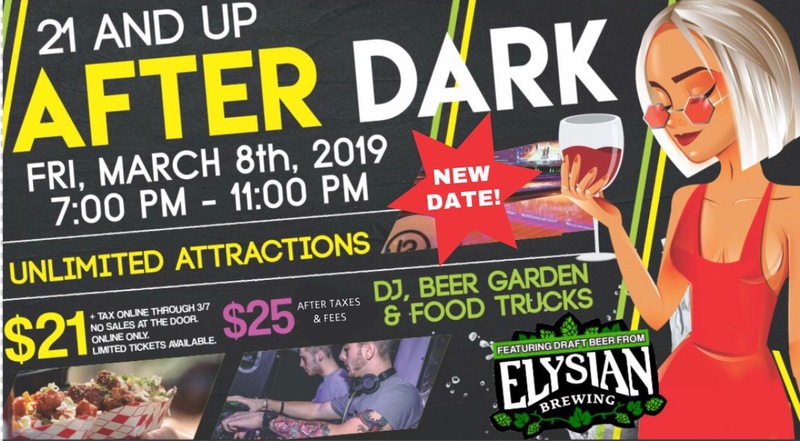 Back by popular demand‼️ Join us for 21+ After Dark event on Feb. 8th from 7pm-11pm. Enjoy UNLIMITED attractions including Bowling, Go-Karts, Drop-and-Twist, LASER TAG, XD Theater, Bumper Boats & Cars, and more!! 🎉🎳 Featuring Elysian Brewing brews & giveaways, Food Trucks, wine and snacks. 🥂 🍕 Points for ticket redemption games available for purchase. PLUS a live DJ will be spinning! Note: Tickets cannot be purchased at the door.